Savannah State University’s (SSU) 193rd Commencement will be held on Saturday, December 8, 8:30 a.m., Tiger Arena. The undergraduate commencement speaker will be Lisa Goldwire Colbert ’91. She graduated with a bachelor’s degree in English from SSU and a juris doctorate from University of Georgia School of Law. 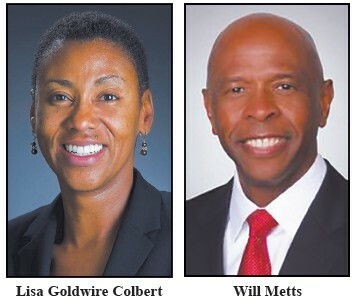 Colbert has been a Chatham County Juvenile Court Judge since 2012. She worked as an associate for Alston & Bird, LLP in Atlanta; senior staff attorney for the Office of Chapter 13 Bankruptcy Trustee; staff attorney for Chatham County Superior Court Judge Louisa Abbot; and assistant county attorney for Chatham County. Colbert also served in the Georgia Air National Guard for six years. She has worked on several boards and foundations, and currently serves on the Board of the Georgia Department of Juvenile Justice. A master’s degree hooding and ceremony will be held Friday, December 7, 5 p.m., Tiger Arena, with speaker Will Metts ‘85. Metts is director of strategy and program integration of the cyber and intelligence mission solutions division for Northrop Grumman’s Mission Systems sector. He earned a bachelor’s degree in electronics engineering technology from SSU and master’s degrees in command, control, communications, computers and intelligence and in national security studies and strategic planning from the Naval Post Graduate School and the Naval War College, respectively. He retired after 30 years in the U.S. Navy as a Rear Admiral. Additional info regarding parking and more is available at savannahstate.edu/commencement.